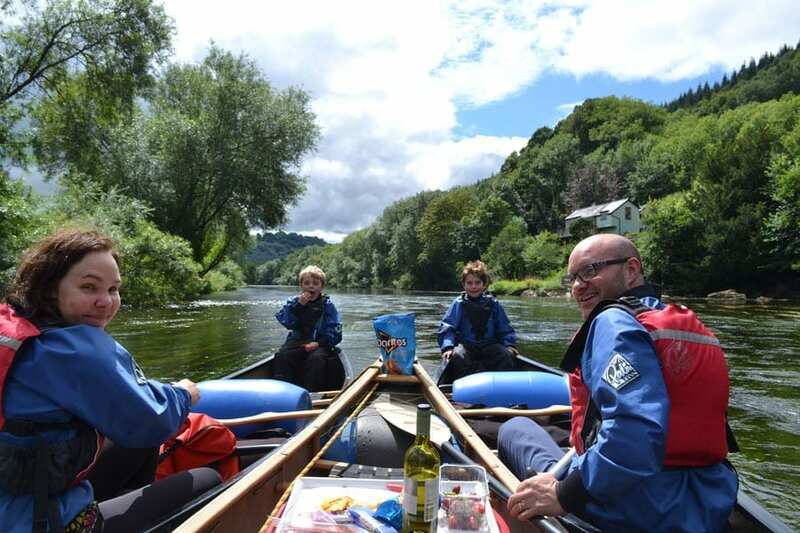 Canoeing is a brilliant way to see the Wye Valley’s stunning scenery and wildlife, and Way2Go Adventures offer a range of guided trips that are suitable for everyone, no matter what age or ability. 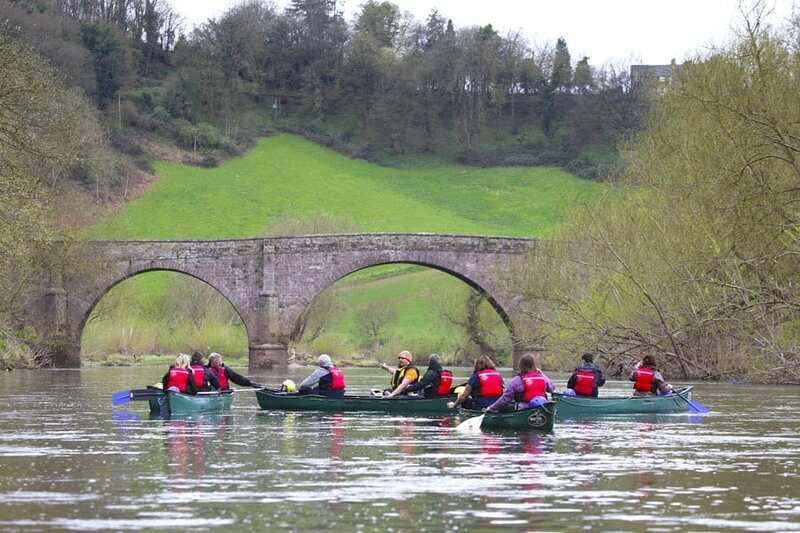 We offer half day and full day trips on a variety of sections of the River Wye, between Glasbury to the north and Chepstow to the south where the river joins the Severn. 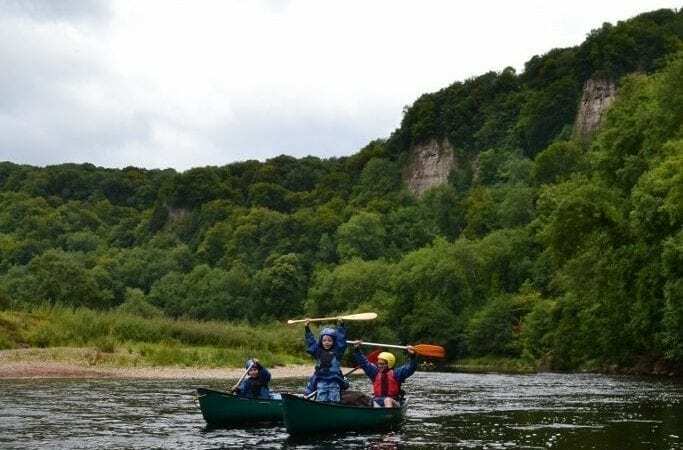 River Wye canoeing is a must-do activity, whether you are visiting the area for the first time or looking for a special day out or group adventure. 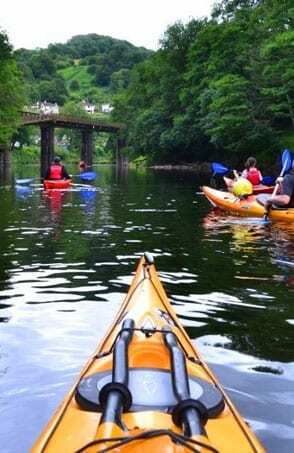 Whatever the weather or time of year, the valley is breathtaking and full of wildlife and even if you have never paddled before this is the perfect way to explore the Wye Valley. A half day canoeing trip takes approximately 3-4 hours and a full day trip takes around 6-8 hours including a stop for lunch. The timing depends on the flow of the river and the pace you paddle at. Below you will find a table outlining our different routes. Click on Book Now to choose your dates and book your canoeing trip with us or contact us if you have any questions. 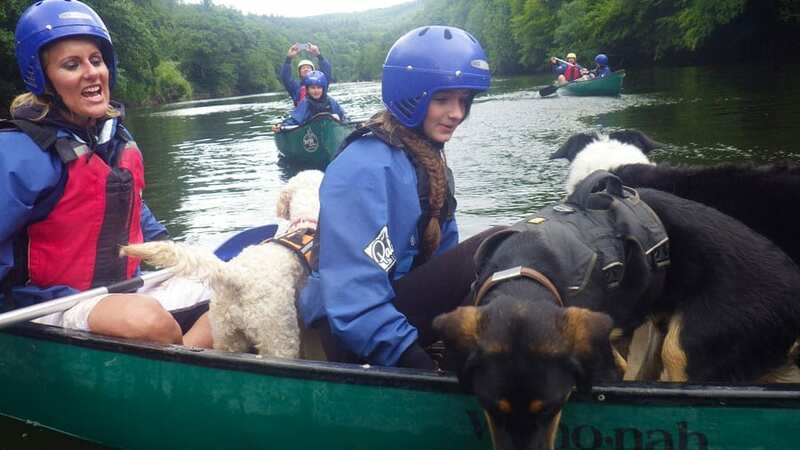 All of our canoeing trips include a safety briefing including how to control the boats, how to paddle and how to deal with any areas of white water. All of our trips are guided so you will have a qualified and experienced instructor with you at all times. We also provide all of the the canoes, paddles, buoyancy aids and safety equipment for our canoe trips. All of our canoes are traditional Canadian open style canoes (Wenonah Southfork), and are 15 foot long. They are suitable for 2-3 people, however also appropriate for solo canoeing e.g. when coaching or for someone with experience. 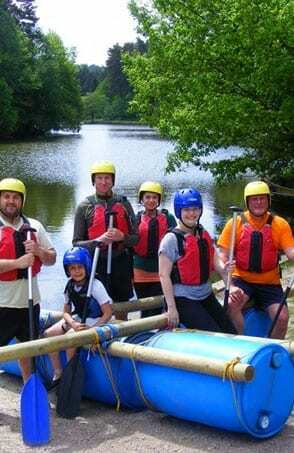 Children of all ages can come canoeing with us, and we can discuss this with you when you book. 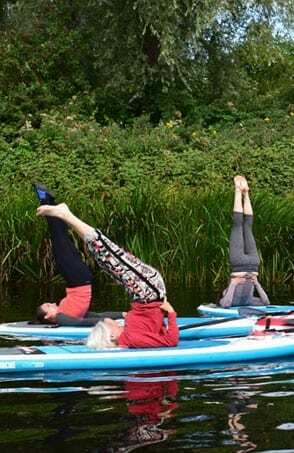 They can either go in the middle between 2 adults or at the front if they are strong enough to take on some of the paddling. 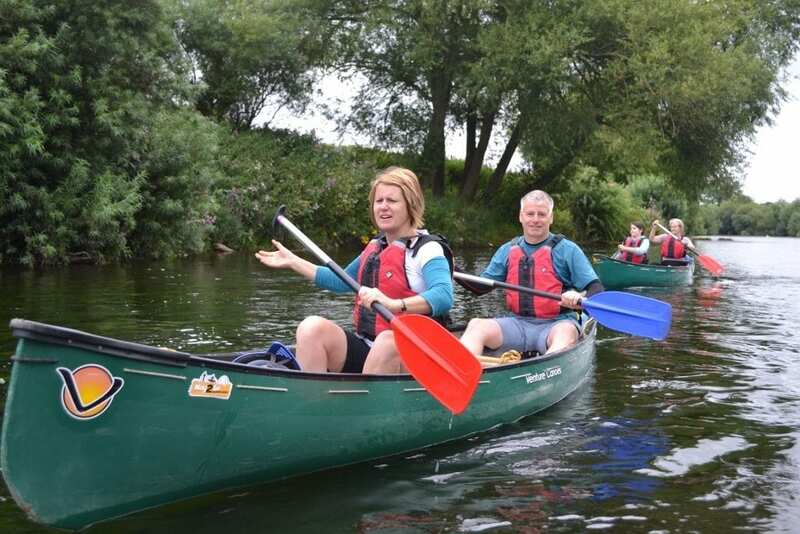 Looking for an introductory canoeing course or to advance your canoeing skills? 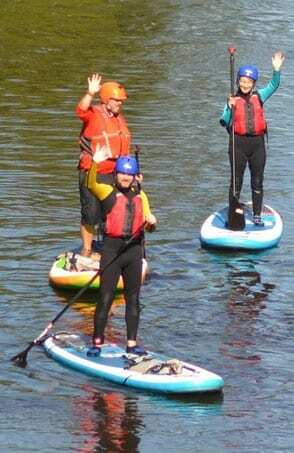 We also run British Canoeing Courses in canoeing and kayaking. Check out the Courses page for more information. Looking for something a little longer? 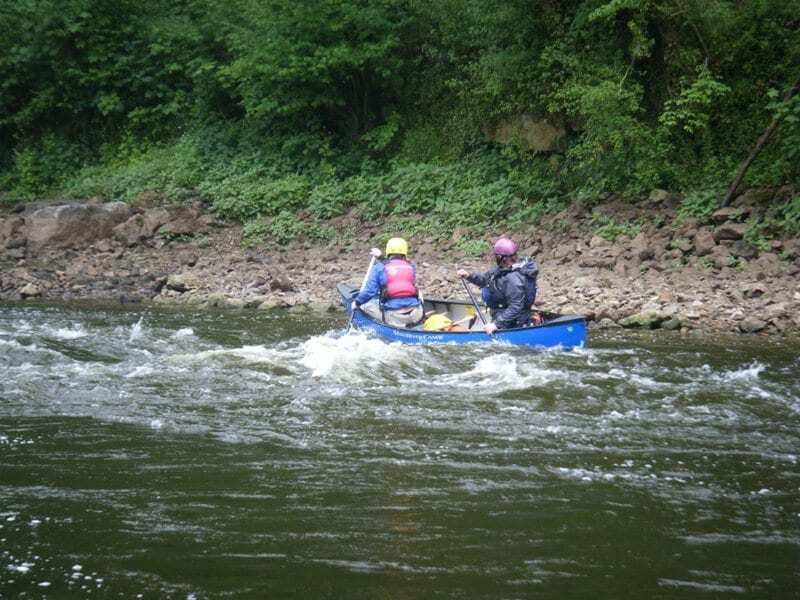 We can also offer multi-day canoeing trips on the River Wye and other areas of the UK. 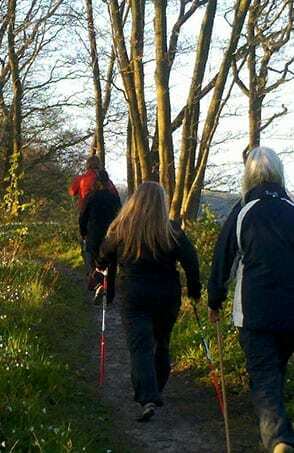 Please see our Expeditions page. 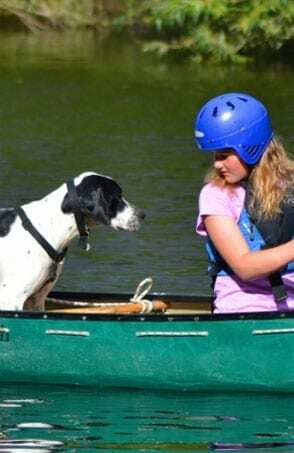 We are an animal friendly outdoor adventure company and as you will see from our photos are happy for you to bring your (well trained) dog canoeing with us. Please let us know when you book! The Wye Valley is an area of outstanding natural beauty (AONB), full of history, beauty and heritage. It straddles the border between England and Wales and is one of the most dramatic and scenic landscape areas in southern Britain. The River Wye (Welsh: Afon Gwy) is the fifth-longest river in the UK. 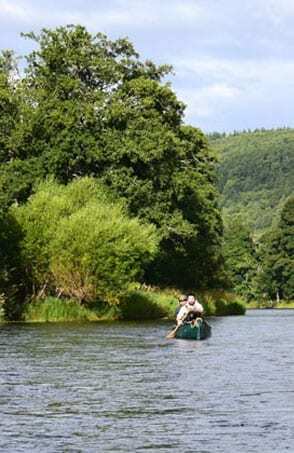 The upper part of the river passes through the settlements of Rhayader, Builth Wells and Hay-on-Wye in Powys, but the area designated as an AONB covers a 45 mile stretch lower down the river, from just south of the city of Hereford to Chepstow. 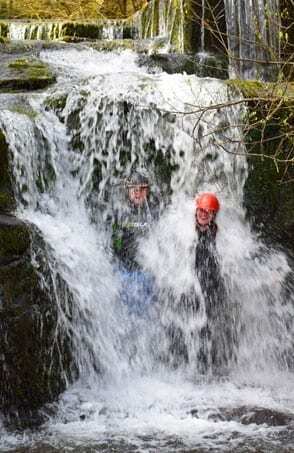 This area covers parts of the counties of Gloucestershire, Herefordshire and Monmouthshire, and is recognised in particular for its limestone gorge scenery and dense native woodlands, as well as its wildlife, archaeological and industrial remains. It is also historically important as one of the birthplaces of the modern tourism industry. 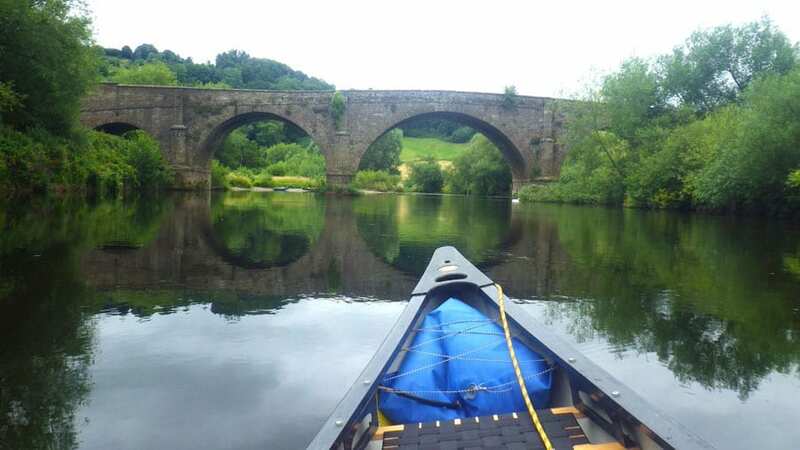 What better way to see the Wye Valley than a nice relaxing canoe trip down the river! Duration: Half Day, Full Day or Multi-Days. If you are not sure which section you would like to canoe, please ask. We know the river very well and can offer suggestions and advice. You can also see our Wye Valley map showing the locations and start/stop points here. Most of the river is very gentle (Grade 1) and suitable for beginners, however there are areas of slightly faster flowing water (Grade 2).